Welcome to Term 4 Week 4. The 2018 school year is rapidly coming to a close with the conclusion of HSC exams shortly. On behalf of the College community, we wish the students the very best with their results which will be released in just over a months time. The Community Council recently met on Thursday 1st November at the College. A number of new members were welcomed and accepted onto the Council, an important Parent representative panel that advises the College on strategic matters. The new members are Jo Flood, Jenny Hornby, Karen Motyka, Kathryn Harris, Jim Herford and Jeni McCarthy. The Council on the evening elected a new Council Chair and Deputy Chair. On behalf of the College, I congratulate Paul Penberthy as the new Council Chair and Brigid McNeill as the new Deputy Chair. Paul has extensive experience on boards as a Management Consultant to pharmaceutical companies throughout South-East Asia and strategic planning experience. Brigid, as a Registered Nurse, will bring her expertise in the health sector and local community knowledge to benefit and strengthen the group in its local community links. The Council is a strength to the College and an opportunity for parents to make a positive contribution to the strategic direction of the College. During the last meeting, the recent parent surveys were discussed in great length with the Council working in small groups to identify from the feedback areas for commendation and improvement. This work will continue into further Council meetings and help shape the strategic plan and direction of the College, particularly the areas around College-Parent engagement. I encourage as many Parents as possible to continue to be involved in the Council. Their work is highly valued and having a strategic impact upon the College which benefits the whole community. The next meeting is on 5th December 2018 at 5 pm. If you would like to be involved please email me and I will pass along your details to the Council. This term, the Pastoral Care Team are actively engaged in planning our Programme for 2019. Our aim is to develop meaningful and relevant pastoral care lessons that will effectively engage our students. In order to assist us with this process, we have recently surveyed students to obtain substantial feedback on the issues they see as important for them here at the College. This week, the Pastoral Care Team presented the results of this survey to the staff and we have also provided our senior student leaders with feedback. Overall, student responses were insightful and a number of key concerns including bullying, self esteem, body image and mental health were identified and highlighted. We very much appreciate the time our students took to provide us with this feedback and as a result of their input, we will be able to more effectively address their concerns. Jessica’s recognition follows her lengthy commitment to Cadets. Joining in Year 7, she had already risen to the rank of Cadet Under Officer by the age of 15. In 2019, Jessica will be taking on the position of assistant regional CUO for NSW in 2019. In that role she will be helping to run army cadets across NSW and ACT. Jessica is a worthy role model for all students at the College and is commended for her dedication, service and commitment. An increasing number of students have been bringing bluetooth speakers to school and using them in the playground during their breaks. They are becoming disruptive and the musical content, at times, is inappropriate within the context of our school. We are asking students to leave these speakers at home and informing them that if they are seen out at school, they will be placed in the Pastoral Office to be collected at the end of the school day. We thank you for your support with this matter. As our newly inducted Faith Formation Captains Gretchen Ashby, Tayla Preddey and Destinee Zischka travelled to Canberra to participate in a Mission Mass and Senior Plenary Council Listening Session. The girls were wonderful ambassadors for the College. They met with students from across the Goulburn and Canberra Archdiocese and discussed what is the Church in Australia is asking of us at this time. Tayla Preddey presented to the group and was a mature voice of youth expressing views, ideas and opinions in an articulate, respectful and insightful manner. 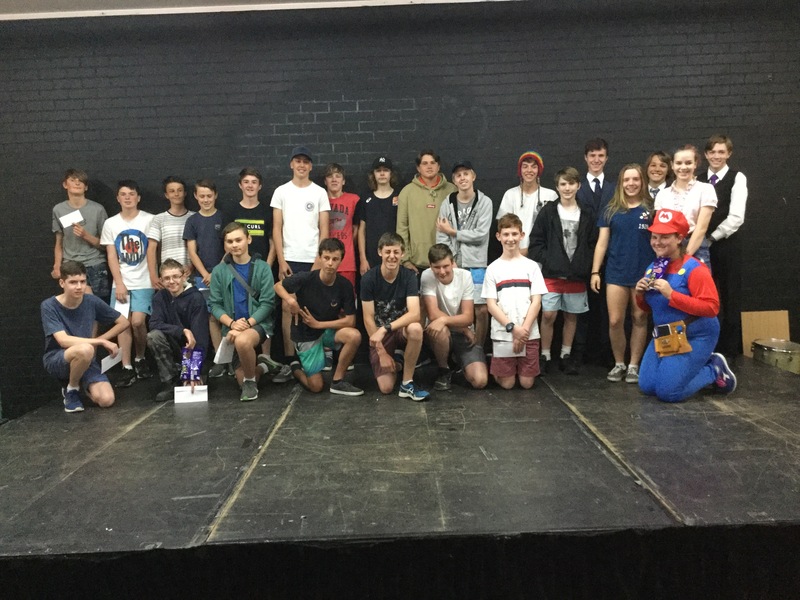 This week Year 11 students along with Mrs. Harris, Mrs. Harrold-Carter, Mrs. Lomax, Mrs. Gray, Mr. Blue, Mr. Cullen, Mr. Hodges, Mr. McAteer,Youth Minister Jarryd Atkinson and I travel to Waterslea Youthworks Conference Centre, Nowra for the annual Senior retreat. This time away from school, affords students the opportunity to build new relationships and strengthen existing relationships as they enter their final year of schooling together. Students will reflect on the theme Hope for the Future: Hope in self, Hope in others and Hope in God. I hope this is a rewarding experience for all involved. 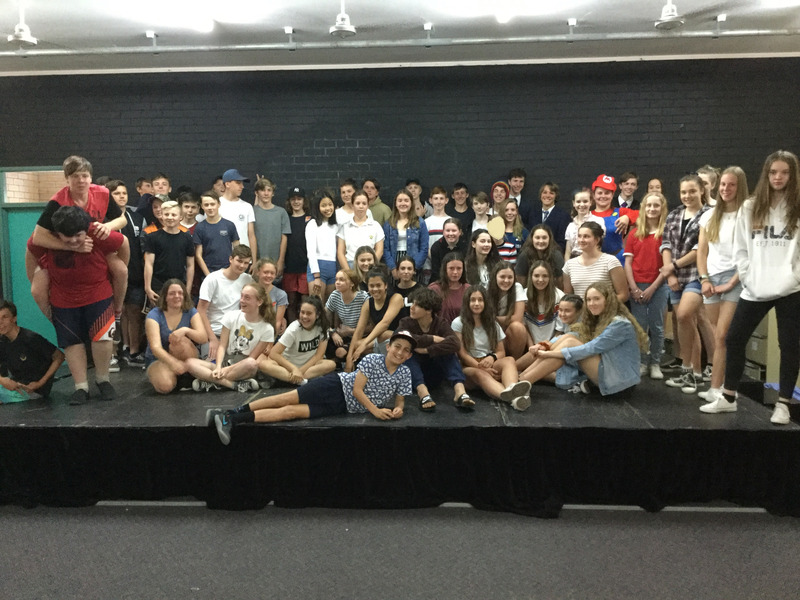 The Year 8 French Film Festival was held on the 1st of November . As always, there were some fabulous entries. The students also baked delicious sweet treats and raised $250 for Muddy Puddles. A great effort! A massive thank you to Ben Rogerson in Year 9 who made a huge contribution to Thor's film. I recently came across this open letter by the Virgin Airlines founder, Richard Branson. It addresses happiness and states of mind. I think it is worthy of further discussion. For me, it’s watching the flamingos fly across Necker Island at dusk. It’s holding my new grandchild's tiny hands. It’s looking up at the stars and dreaming of seeing them up close one day. It’s listening to my family’s dinner-time debates. It’s the smile on a stranger’s face, the smell of rain, the ripple of a wave, the wind across the sand. It’s the first snow fall of winter, and the last storm of summer. It’s sunrise and sunset. This piece was contributed by Richard to help raise money for MIND, a Mental Health Organisation. T​here will be an assistance dog coming into the HUB on occasion during Term 4. As the dog is at school for a specific purpose, we request that students do not approach or pat her. If there are any students who have an allergy to dogs/dog hair, could parents please contact the school within the next week, so that steps can be taken to alleviate any issues that may arise. Beverley Harvey Acting Learning Support teacher. Did you know that Qkr! Can also be accessed on a desktop Computer if you prefer this option or you are having an issue with your app and need to make a payment whilst this is being rectified. CCB Greenies is an environmental social justice group established by our current Yr 12 students. The Greenies, have worked hard within the school and the Eurobodalla Shire to join the global community in reducing the impact of waste on our planet. We have a name change; Rosellas. The new name makes a connection to the importance of Australia’s native wildlife and reiterates the defining features of the group: an independent and local team of members committed to achieving solutions to environmental issues that affect our Shire. The Rosellas are not affiliated with any political parties, but rely on people inspired to do their small part in support of environmentalism. Students are encouraged to see the work that the Rosellas do by attending the fortnightly meetings in the Hub at AM2 on Tuesdays of Week B. As part of our reduction of waste initative the Rosellas along with Carroll College has introduced a Water Bottle that can be purchased via the following options. 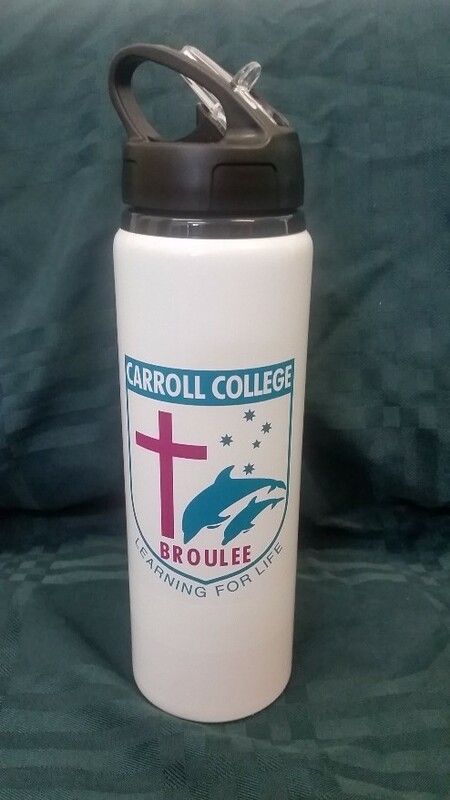 The introduction of the water bottle is to reduce ongoing waste within the College. With the water refill station available and another to be installed these can be refilled and re-used. This is a solid metal bottle with a dedicated area under the crest for the students name, for easy identification. Please ensure their full name is on the bottle so these can be returned if misplaced.